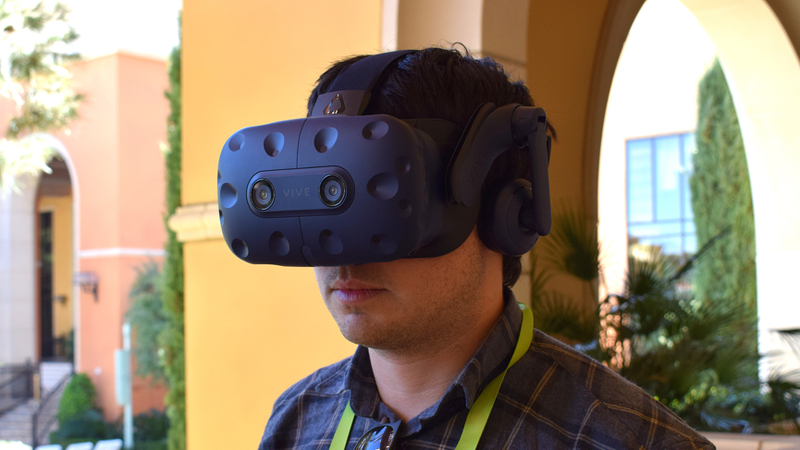 Last year, HTC celebrated the Vive's first birthday by switching on Viveport's subscription service. For $6.99 a month, you can grab five games and keep them in a virtual locker then, when you're done with them, swap them out for others that take your fancy. Now the company is beefing up its subscription service in more ways than one, bringing it more in line with services like PlayStation Plus and Xbox Live. The company is adding exclusive promotions and discounts to the service, and it'll also be experimenting with giving out free content every so often. The bad news: it's also bumping up the price to $8.99. The first piece of free content arrives this month, but it's a mystery for now. These mysterious pieces of free content are a lot like PS Plus' free games, or Xbox's Games with Gold. Rikard Steiber, president of Viveport, told Wareable the company is still figuring out how to work the free titles. "What we want to do is we want to surprise and delight customers," Steiber said. "So it could be that we have unique things coming from developers that we want to introduce to the user base." Steiber said the subscription service has been a hit with fans since it launched, with 70% of users staying on after the free trial expires. The number of titles available has also ballooned from 50 at launch to over 375. So why mess with something that's clearly working? Essentially, it's a way of incentivizing developers to bring more content to the service, in turn helping make it more valuable for consumers. HTC splits revenue from the service with developers 70-30, with 70% for developers. The new price increase will mean a 25% increase in revenue for developers. The games industry is one that can be especially turbulent, with layoffs a constant threat for many studios. Viveport's subscription service, Steiber said, is another way for the company to help build their businesses. The free title experiment could allow developers to preview new things coming down the pike, or it could help add life to well-known older titles. Either way, HTC will be looking at how users are taking to the new benefits and adjusting to what they want in the future. The company is looking to bring even more features to the Viveport subscription service, as Steiber said a subscription allows people to more easily try different pieces of content. "My vision is that we would have a Viveport where you could have apps and games and social and video experiences in one place," he told us. "So I do think that consumers want to have and reward great entertainment. It's not just games. If you look at the top 20 subscription titles you have great experiences that are not gaming as well." The new price increase goes into effect on 22 March, though it only goes into effect for new customers. If you already have a Viveport subscription, you will keep the $6.99 price. In fact, you can sign up for a free trial right now and be grandfathered into the cheaper price and get all the new Viveport perks regardless.